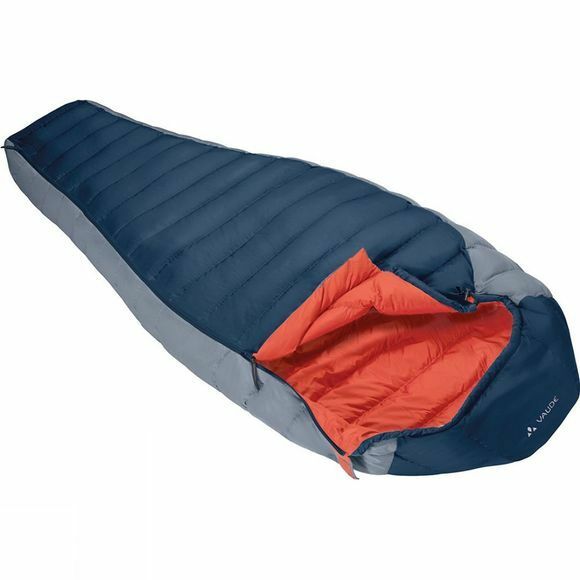 Fall asleep in a warm bed of feathers: cozy, very warm three-season sleeping bag with a premium lightweight 80/20 quality down fill. The mummy cut helps keep your body heat where you need it, a long zip extends down to the foot section, the material is wonderfully soft yet durable and easy-care, and the whole package is ecologically manufactured in accordance with the stringent bluesign standard. The Cheyenne 700 is ideal for all light trekking and cabin tours.